If one were to rewind a James Bond movie, one might get The Bourne Supremacy, a steadfastly unglamorous spy thriller with a few adrenaline jolts for good measure. 109 min. Universal Pictures. Director: Paul Greengrass. Cast: Matt Damon, Franka Potente, Brian Cox, Julia Stiles, Karl Urban. There's an old joke which claims that if you play a country song backwards, you quit drinking, your wife comes back to you, and you get your car back. If one were to rewind a James Bond movie, one might get The Bourne Supremacy, a steadfastly unglamorous spy thriller with a few adrenaline jolts for good measure. 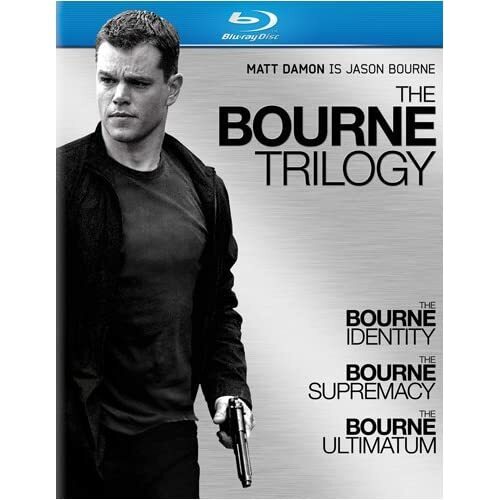 This sequel to Doug Liman's 2002 film The Bourne Identity again features a screenplay by Tony Gilroy (retaining little from the Robert Ludlum source novels) and a leading performance by Matt Damon as amnesiac ex-CIA operative Jason Bourne. Replacing Liman at the helm is director Paul Greengrass, who made one of 2002's best films, Bloody Sunday. The Bourne Identity is no Bloody Sunday, but Greengrass honors Liman by making another superior thriller that's long on mood. The Bourne Supremacy picks up pretty much where its predecessor left off, with Bourne and Marie (again played by Franka Potente) hiding out from anyone who might want to make trouble for the highly-trained black operator. After establishing Bourne's still-murky memory—his years with a CIA program code-named "Treadstone" remain a blur—Greengrass springs an intense action sequence in which Bourne and his lover are "made." By the time the sequence arrives at its jaw-dropping finish, Greengrass has made a visceral impact both horrible and beautiful. The keen emotional edge is crucial to the Bourne franchise as anchored by Damon. Damon plays the tight-lipped Bourne as a lone wolf who wishes he could be human like everyone else. Ever coiled and ready to strike, Bourne is quick and deadly, stoic and disciplined. His house troubled, something in Bourne must, once more, snap, sending him on a dark journey of self-discovery, reckoning, and atonement. The journey is also literal, spawning international intrigue from India and Italy to Germany and Russia. Cinematographer Oliver Wood returns to shoot overcast locations, bloodless interiors, and pulse-pounding escapes. A car chase in Moscow, replete with spin-outs and collisions, amounts to a deadly demolition derby. The human drama likewise finds the characters taking aim at each other, sometimes with high-powered rifles, but mostly with information and accusations. Joan Allen plays Pamela Landy, a CIA agent who's sure she smells a rat in Bourne. Landy acts with enough self-righteous tenacity to be the star of the movie playing out in her head, though Bourne isn't responsible for the double slaying on her radar, nor is he as actively disruptive to justice as her CIA superior, Ward Abbott, played again by the magnificent Brian Cox. Cox, whose performances seem to get more sly with each film, takes on a Cheney-esque air of apparent no-nonsense (by occasionally crowding Cox's hairline up and out of the frame, Greengrass enhances the effect). Greengrass is perhaps too stringently devoted to his shaky-cam and strobe-like editing: the effect is immersive but cheats a necessarily patient audience of a clear perspective on the action when it arrives. All the same, The Bourne Supremacy supplies an atmospheric spy yarn, guilt-free. The Bourne Supremacy races onto Blu-ray as a part of Universal's The Bourne Trilogy box set. Fans will be nothing but pleased by these definitive special editions. The film transfer is top-notch—I can't imagine the picture quality could be any better: colors are spot on and detail is even better than the previous film in the set. The overall impression is a smooth, vibrant but naturally film-like look, marred only by an occasional hint of dust or dirt or a touch of noise in a troublesome visual moment. Given the film's intentionally rough-and-tumble appearance, this transfer does the film justice and is the definitive version on the market. The DTS-HD Master Audio 5.1 surround mix is simply awesome, with spectacular directionality and powerfully detailed effects. Blu-ray exclusives will be familiar to loyal Universal customers, beginning with three core U-Control features: a Picture in Picture option that includes cast and crew interviews, set footage, and pre-production art (like storyboards); the Bourne Dossier, which give access to high-tech superspy information technology (like pop-up Agent Status, Character Dossiers, Field Reports with "GPS-enhanced satellite views of the locations," and other "top secret training material"); and Bourne Orientation, which jumps out of the film to provide literal orientation (globally speaking) and figurative orientation: information about what's driving Bourne at key junctures in the story (answering that eternal actor's question: "What's my motivation?"). Naturally, there's also a My Scenes bookmarking feature, and BD Live takes the viewer out to additional features on the internet, among them My Chat, My Movie Commentary, and Bourne Card Strategy Challenge, a "hand-to-hand combat strategy game," using digital cards, with which you can challenge other friends online. A feature commentary with director Paul Greengrass deals largely with the thinking behind the development of the sequel story, which takes little from the Ludlum novel. Greengrass has a professorial ability to waft his way through the film with throughts about character, theme and social relevance, though he does get into production specifics, as well. The so-called "Explosive Deleted Scenes" (10:46, SD) are hardly explosive, but they are interesting, and include an "Alternate Ending in Berlin." "Matching Identities: Casting" (5:23, SD) discusses the characters and the actors who bring them to live. Participants include Greengrass, producer Frank Marshall, Matt Damon, Joan Allen, Julia Stiles, Brian Cox, producer Patrick Crowley, Gabriel Mann, and Karl Urban (soon to be Dr. "Bones" McCoy in Star Trek). "Keeping It Real" (4:58, SD) puts the focus on Greengrass and his approach to the story and its visual elements. Marshall, Damon, Potente, Greengrass, camera operator Klemens Becker, Crowley, and Urban each contribute their two cents. "Blowing Things Up" (4:00, SD) sounds self-explanatory, though Crowley, Greengrass, 2nd unit director Dan Bradley, special effects foreman James Bomalick, and Damon show up to explain. "On the Move with Jason Bourne" (4:46, SD) hones in on what was gained and sacrificed by shooting on the film's striking locations. Marshall, Crowley, Greengrass, Cox, Damon, Allen, Bomalick, Potente, and Bradley comment. "Bourne to Be Wild: Fight Training" (4:21, SD) features Marshall, Greengrass, Damon, and fight/stunt coordinator Jeff Imada in a look at the film's most distinctive element: the hand-to-hand combat. "Crash Cam: Racing Through the Streets of Moscow" (5:58, SD) reveals the equipment and techniques used to up the ante for the sequel's car chase action. Greengrass, Marshall, Bradley, picture vehicle coordinator Graham Kelly, Bomalick, and Crowley are on hand. "The Go-Mobile Revs Up the Action" (6:49, SD) finds Marshall, Damon, Bradley, Go Mobile fabricator Rick Cresse, and Scott Rogers, Darrin Prescott and Kevin Scott of Go Stunts discussing the mobile camera rig. "Anatomy of a Scene: The Explosive Bridge Chase Scene" (4:41, SD) allows Greengrass, Bradley, Damon, and Crowley to explain the filming one of the film's most memorable action sequences, as we enjoy the humorous sight Damon hanging off a bridge like meat on a hook. In "Scoring with John Powell" (4:46, SD), Powell takes us through his thinking and technique in composing and conducting the film's music. So as not to forget the man who created Jason Bourne, "The Bourne Mastermind (Part 2)" (4:42, SD) rounds up a bit more footage from Ludlum (archival), Jeffrey Weiner of the Ludlum Estate, book editor Richard Marek, actor/Ludlum friend James Karen, agent Henry Morrison. Arguably the most interesting bonus feature on the disc is "The Bourne Diagnosis (Part 2)" (5:39, SD), in which Marshall, Greengrass, Damon, psychologist Miriam Davis, and Potente provide psychoanalysis. The hits just keep on coming in the middle chapter of The Bourne Trilogy on Blu-ray, which the three discs of which come packaged in a handsome, sturdy box with a magnetized flap (the flap depicts Damon as Bourne). All site content © 2000-2019 Peter Canavese. Page generated at 04/24/2019 07:20:53AM.